SolarCity Corp (NASDAQ:SCTY) has announced a new agreement with Wal-Mart Stores, Inc. (NYSE:WMT), in which the solar energy company based in San Mateo, California, will again provide Wal-Mart Stores with solar power. The new deal will see SolarCity installing Wal-Mart Stores with solar power for a period of 4 years, covering stores in approximately 36 states. 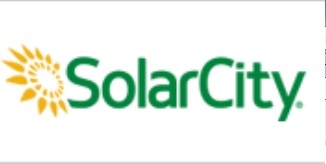 This is not the first time of partnership between SolarCity Corp (NASDAQ:SCTY) and Wal-Mart Stores. Back in 2010, the two companies have also started a similar project wherein SolarCity have installed about 200 solar power on Wal-Mart Stores, Inc. (NYSE:WMT) facilities. Last year, a total of 13 walmart stores have benefited from testing and installation of energy storage facilities. An additional 10 storage projects is in the pipeline for the coming year. Newer solar projects are also planned to use a larger battery with a power rating of 200 kilowatts. This will make the facility able to have an expanded storage capacity, thus reducing energy costs. According to SolarCity Corp (NASDAQ:SCTY), Wal-Mart Stores, Inc. (NYSE:WMT) is the company’s pilot customer for its solar energy products for businesses, effectively rendering the store a pioneer in commercialized storage technology. It also noted that its projects with Wal-Mart Stores, Inc. (NYSE:WMT) has been able to provide jobs to about 5000 Americans since the projects inception. The same statement from SolarCity Corp (NASDAQ:SCTY) cites the Solar Energy Industries Association (SEIA) as noting that Walmart is the leading commercial user of commercial solar power in the U.S. Estimates from the U.S. Energy Information Administration puts consumption of solar energy within the U.S. to peak up to 35% in 2014. This is attributed to the general increase in consciousness about greenhouse gasses, which can lead to a desire for alternative, clean and renewable power source. Is Tesla Motors Inc (TSLA) and SolarCity Corp (SCTY) Partnership The Dealth Of Utility Companies?